From among the different types of bandages available, the triangular bandage is is more appropriate during emergency situations considering that these type of bandage can easily be secured out of any clothing material. May it be at home, or in the office or practically anywhere. If you can recall during the scouting days, our scarf is in a form of a triangle. This is because our scarf has a double purpose. It can also be utilized as a bandage. The different types of bandages above are of course very useful. However, this could not be available all the time considering that an accident or emergency may happen anytime even on the most unexpected places. This is therefore the reason why the triangular bandages are the most popular among them. Aside from its availability, the triangular bandages can be applied to almost all areas. From head to foot, you can always maneuver the bandage in such a way that it can be useful. There is also no problem in so far as sizes are concerned considering that the triangular bandage can easily be folded into different sizes in order to apply to different areas of the body. 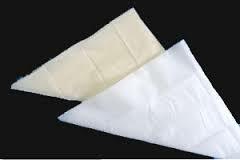 For practical applications, the bandage may be utilized as OPEN (triangular bandage), Broad (one fold cravat), Semi Broad (two folds cravat) and CLOSE (three folds cravat). 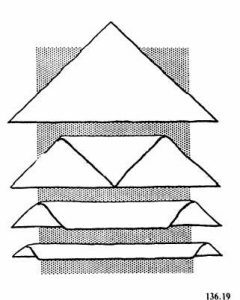 May the patient be an adult, a child or an infant, triangular bandage can always be adjusted. The ideal size of the Triangular Bandage is 36 inches on the sides and 52 inches on the base.